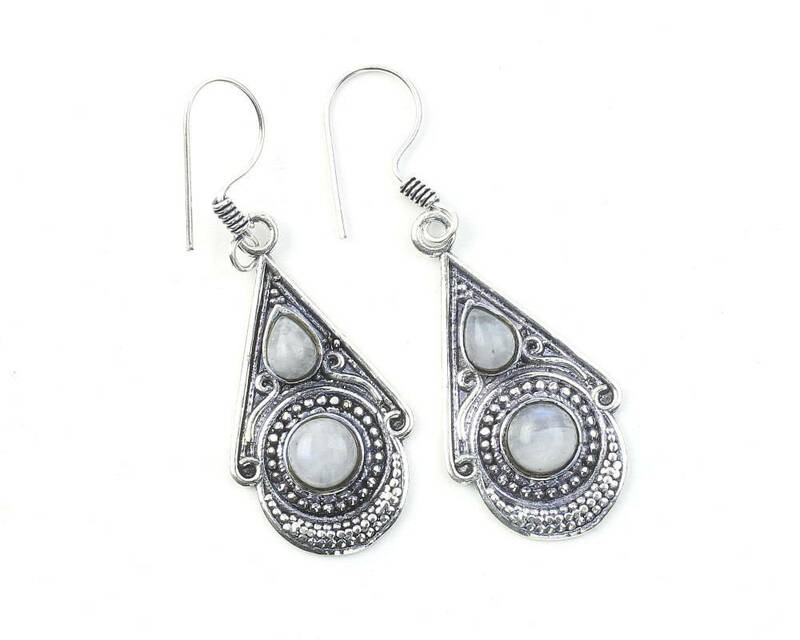 Amazingly detailed earrings featuring two Moonstones. Light patina finish highlights the detail of this piece. 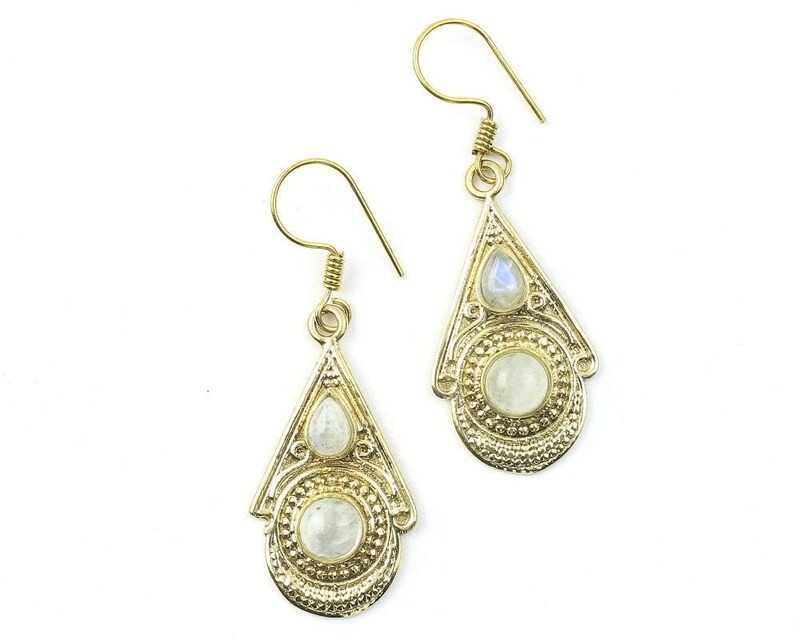 Please Note: This piece features a genuine gemstone, these stones are made by nature and may vary slightly from what is pictured. Length w/ hook: 1 7/8"